I have a problem building a package where one of the VIs has recursive call. 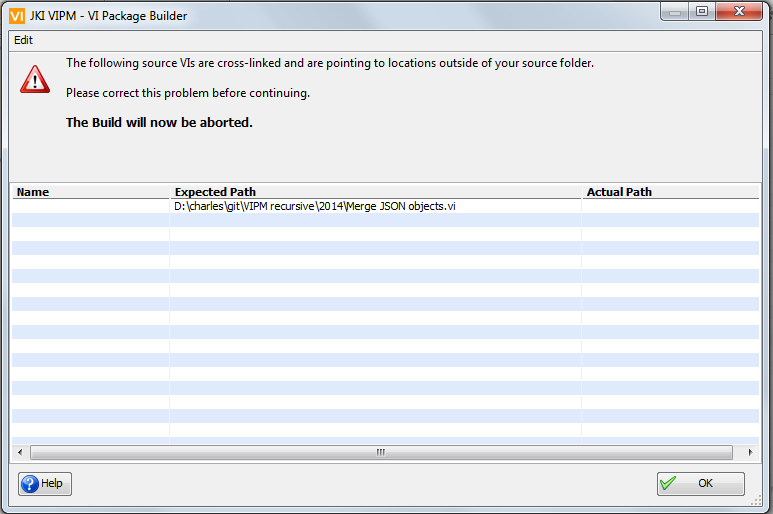 This happens only when the package is built for LabVIEW 2014, I have no problem when I build it for LabVIEW 2011. But when building it for 2014, I get a strange cross-link error, while there is no cross-link (and it's the same VI as before). See image. Attached an archive with both 2011 and 2014 versions of the package, along with the package that needs to be installed as a dependency. PS can anyone with moderation privileges delete the spam messages on this forum? It looks like an abandoned place! Apologies for extremely late response.